If you are looking for highly professional, consistent and reputable contract cleaning services for your commercial property in Greenhithe, look no further than the specialist commercial and domestic daily contract cleaning services we have to offer here at Supreme Cleaning Ltd.
We regularly provide our services to sports clubs, schools, colleges, entertainment venues, surgeries and businesses across Greenhithe. We have a team of fully trained and professional operatives on board who provide a reliable and competent service every time. All our operatives are insured and reference checked to ensure you receive a consistently outstanding service every time. Supreme Cleaning (Kent) Ltd specialise in the commercial cleaning of windows, floors and carpets. We provide professional daily commercial contract cleaning services to companies based in Greenhithe and its surrounding areas. We tailor our services to your exact needs and we have all the necessary cleaning products and equipment available to get your business sparkling clean. All of our operatives are highly professional and are passionate about offering a high-quality service at all times. We can offer a wide range of daily and deep cleaning services for your commercial space. Thanks to our extensive range of supplies and equipment we can guarantee exceptional cleaning for any business. You can trust us to keep your premises in top-notch condition. Whether a school, a sports venue, a surgery or an office, our clients all get the same level of service. Our reputation depends on it. Many different types of businesses and industries benefit from our daily contract cleaning services as they look to make a positive impression on visitors, customers and employees alike. Our cleaners in Greenhithe realise how important it is for businesses to maintain a clean and healthy environment and subsequently advertise their company appropriately. Both schools and colleges in Greenhithe can benefit from our daily contract cleaning services, with children required to work in a clean and healthy environment in order to reduce absence throughout the year and enhance their educational development. 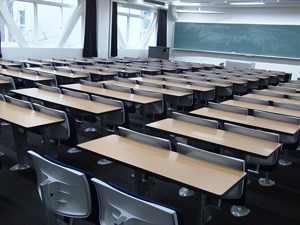 Our cleaning services prevent problematic bacteria from spreading and causing illnesses among students. We use cleaning products that are highly reputable and non-toxic to ensure bacteria cannot spread, thus significantly improving attendance rates over the period of the school year. 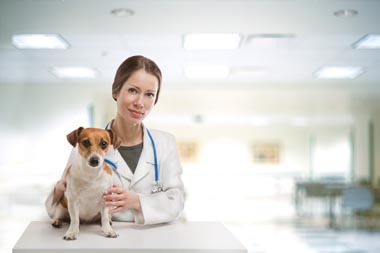 Supreme Cleaning Ltd has most recently undertaken numerous contract cleaning jobs at veterinary surgeries across the South East and we would be delighted to provide surgeries in Greenhithe with the opportunity to make the most of our competent and reliable services. Practice managers may be pinned down by the stress of having to deal with regular staff absences as a result of illness. In addition, good hygiene is absolutely essential in any surgery and our comprehensive cleaning services will keep staff, visitors and their pets completely satisfied. Our specialist cleaning services are also available for sporting and social venues across Greenhithe, including golf clubs, Masonic lodges and concert halls. We make sure that every premises we deal with is left absolutely spotless in preparation for the next event, whether it’s a small gathering or a large social event. We offer a service level agreement that guarantees 100% reliability and a consistently maintained cleaning service. To find out more about our daily contract cleaning services, our end of tenancy cleaning or to speak to one of our cleaners in Greenhithe, please do not hesitate to contact us on 01322 384500 or fill out the provided form below.